1221 no longer to be advertised, yet will still operate; all calls to be routed through integrated system. The Health Ministry has published a circular that regulates work procedures and cooperation between Magen David Adom and Ichud (United) Hatzala, in order to optimize and maximize emergency responders. According to the procedure agreed upon with the cooperation of the two organizations, the public will continue to seek medical treatment through the 101 emergency number and United Hatzala teams will be activated within the framework of the national responder switchboard operated by MDA, which will locate the responders closest to the scene, regardless of their organizational affiliation. 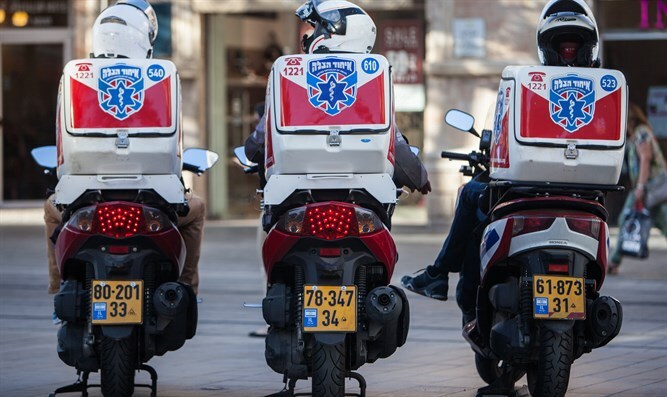 “United Hatzalah will halt its publication of another emergency number in order for all medical emergency calls to be concentrated within the National Standby First Responders Dispatch Center in purpose of streamlining the process,” the Health Ministry announced. This requires United Hatzalah to stop advertising its ‘1221’ emergency number. Henceforth, when United Hatzalah dispatchers receive a call, in addition to alerting responders, they must pass the details of the call to the MDA national dispatch center. The Ministry also instructed that medical first responders who don’t currently operate under the auspices of MDA will have MDA’s mobile app installed on their smartphone. MDA will also develop an integrated app that will be connected to MDA’s National Standby First Responders Dispatch Center, reports Yeshiva World News. MDA issued the following statement in response to the new directive. “MDA would like to thank Health Minister Rabbi Litzman, the CEO of the Ministry and the professional team for ordering the operation of all first responders in Israel under the MDA dispatch center. MDA cooperates with all first responders and welcomes anyone seeking to save lives, including the volunteers of United Hatzalah. "United Hatzalah Management welcomes the decision that was announced today by the Health Ministry which reiterates and solidifies the collaboration between United Hatzalah and Magen David Adom." According to United Hatzalah, a similar instruction was laid down by the Health Ministry at the end of 2014, but MDA never upheld it and hence United Hatzalah began publicizing their emergency number at the end of 2016. President and Founder of United Hatzalah, Eli Beer said, "The Health Ministry sent a clear message today clarifying the need for the MDA dispatch center to share all of the information they receive regarding emergency calls with United Hatzalah's dispatch and command center. This is something that we have been struggling to get the Ministry to enforce for years now. "Likewise, the Health Ministry also declared, quite emphatically, that it sees United Hatzalah as a vital organization that plays an important role in pre-hospital emergency health care in Israel. They unequivocally stated that the sharing of all information between the two organizations will be a benefit to the citizens of Israel. In the coming months, the interface and collaboration between the two organizations will be scrutinized, and it is our sincerest hope that the cooperation will work well and favorably for all involved and that it will result in more lives being saved."